Top 5 Reasons To Plan A Key West Vacation Now! Like many of us in January, we make resolutions, which focus on improving our health and wellness. 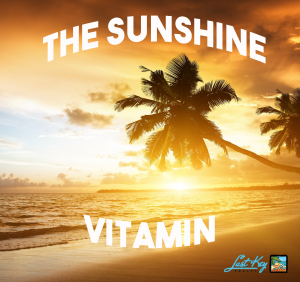 The researchers at Central Washington University are saying that a whopping 77% of people need more Vitamin D because they do not get enough exposure to sunlight. Doctors are saying that Vitamin D deficiency is currently a pandemic in the U.S., which routinely causes preventable chronic diseases like the flu. Without optimal Vitamin D levels, you can feel fatigued and stressed. The sunny Key West skies are a great source for the sunshine your body needs. Optimal levels of sunshine will give your January Resolutions a boost and jump-start your immune system. Planning a Key West Vacation will help you trot through your daily grind more easily because you have something to look forward to. Part of why vacations are so important is because you can give your brain a much needed break. Turns out, your brain likes time to daydream! In this age of information overwhelm, vacations are even more important. According to a 2011 study, on a typical day, we take in the equivalent of about 174 newspapers’ worth of information, five times as much as we did in 1986. That’s quite astounding! 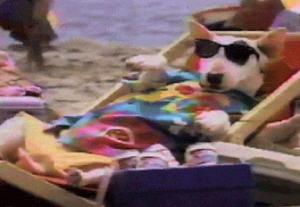 The average U.S. employee takes only half of their allotted vacation time. Unsurprisingly, they suffer from being overworked, overwhelmed and overwrought. There is a concept about time and money. It goes like this – you can always make more money but you cannot make more time. Many of the homes in Last Key Realty‘s inventory are pet friendly! You don’t have to leave your furry family member at home anymore. Plus, there are many restaurants that are pet friendly and there is even a dog beach where you can play fetch in the ocean with your pup. Afterwards you and your beach dog can have lunch at Louie’s Backyard on the deck and enjoy some amazing ocean views. If you are a U.S. citizen and have a drivers license that is enough ID to get you here! We are far enough south that it feeeeels like you are in a tropical, remote, magical foreign land unlike the continental U.S. but, we still have the perks of being able to get here without flashing your passport. 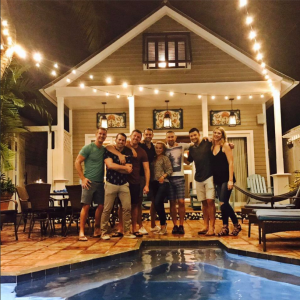 When you book a Key West Vacation Rental with Last Key Realty – know that you are in great hands. We specialize in making your vacation a luxurious and easy experience so that you feel like the celebrity you are in your own life! On the island we do things a little slower and with a more relaxed attitude. With Last Key Realty handling the details, you can focus on what is most important: soaking up the sunshine, relaxing with a refreshing mojito (or beverage of your choice) at happy hour and letting your mind wander stress free. It’s time to plan your Key West Vacation! What are you waiting for? Author ICNDadminPosted on January 27, 2017 March 10, 2017 Categories Vacation RentalsTags Key West, Key West Vacation Rentals, Last Key RealtyLeave a comment on Top 5 Reasons To Plan A Key West Vacation Now! Each month we select a memorable guest review or photo to win a $100 cash card. Our December 2016 winner is Michael Dye, who shared a photo of his group and himself enjoying their Vacation Rental, :: PILAR’S SECRET :: and submitted a lovely five-star review of his stay with us. Thank you for sharing! There’s nothing more rewarding for us than receiving a five-star review from a guest and to see our guests enjoying their vacations. Seeing these captured moments reminds us how lucky we are to do what we do and to live in such a magical place. For future guests, send us a photo/video of your Key West Vacation and submit your memorable review for your stay to be entered for a chance to win a $100 cash card. You could be January’s winner!